The Montgomery County Gazette Reported that the speed cameras in Chevy Chase Village are bringing in $250,000 per month in ticket revenues ($3million per year). The entire 2009 operating budget for Chevy Chase Village (a municipality of 2000 residents) is currently $4.5 million. This leaves the village with an unusual problem of deciding how to spend this money, given that the law requires that this money only be spent on public safety improvements. Not to worry, Montgomery County has given them the solution... reinterpret the law to allow them to do whatever they want! 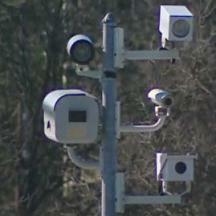 Montgomery County has stated that he does not believe that the county's current per-ticket payment arrangement with ACS violates the letter or the spirit of the law... when the law states that a contractor who operates a speed camera system may not be paid a fee contingent on the number of tickets. The county executive now claims that the word "operate" means telling the contractor what to do and where to set up the cameras, not the functions performed by ACS including installation, maintenance, and processing violations. Note that the county executive had PREVIOUSLY claimed that the county was paying ACS a FLAT FEE --- however that was before several local media outlets reported on the per-ticket arrangement. **SO** the solution to Chevy Chase's problem is to reinterpret the words "Public Safety Improvement" and they can spend it however they like. They can also increase revenues by reinterpreting other words such as "fair hearing", "properly posted speed limits", "calibration checks", "residential zone" etc to let them do whatever the heck they want, regardless of any assurances the public has been given about the fairness of this system. Chevy Chase is apparently still debating what "Public Safety Improvements" speed camera money may be used for. The Feb 11, 2008 Minutes of the Chevy Chase Village Board of Managers suggested such uses as: "Brookville Road, putting in new streetlights; the Connecticut Avenue projects, beautification improvements, the new sidewalks."